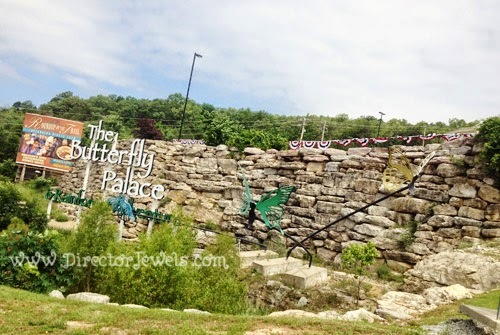 The Butterfly Palace and Rainforest Adventure is situated on a hill at the corner of Highway 76 and Shepherd of the Hills Expressway in Branson. I've admired the building from afar in the past, but never ventured up the hillside to visit. 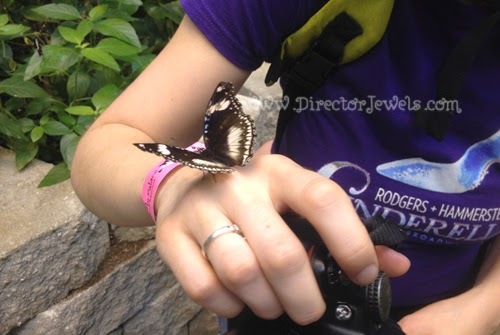 I love butterflies and thought it would be a fun place to take the kids, so I was excited when it was included on our Branson vacation itinerary! 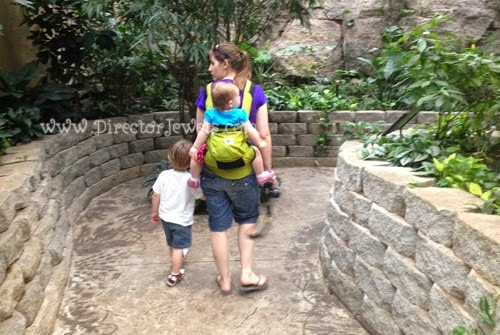 At the end of this post, I'll be sharing 3 Tips for Taking Toddlers to The Butterfly Palace and Rainforest Adventure, so stay tuned for that! 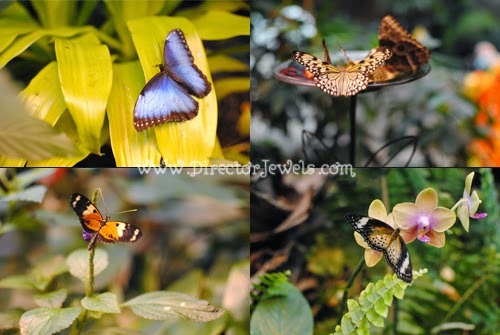 The main attraction here is, of course, the Exotic Butterfly Aviary - which features hundreds of butterflies, plus birds and other exotic creatures. To enter the aviary, you must pass through a set of two double doors. Pay close attention to the instructions given as you enter, as it's important to note that butterflies can (and will) land anywhere - including the path on the floor, your stroller or purse, or even on you! 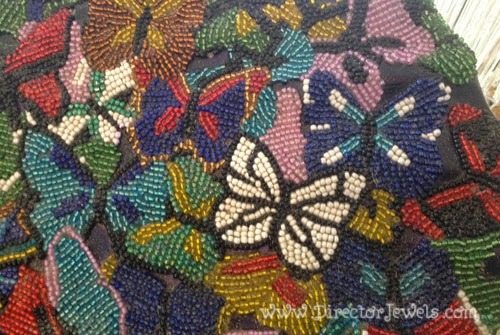 I have never in my life seen so many beautiful butterfly species. I hadn't really thought about it, but here in the Midwest, we are pretty limited in our butterfly exposure. These creatures varied in size - some were several inches in width - and they floated and fluttered about the aviary without a care, and without seeming to notice that we were there. 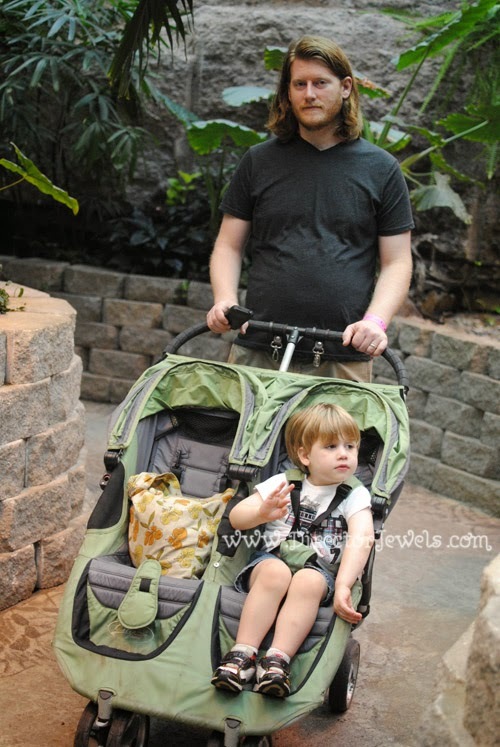 The aviary features a tropical environment (so it's a bit warm), and offers fun extras for the kids - Pith helmets, kid-sized binoculars, and magnifying glasses - so that they can inspect these creatures up close. 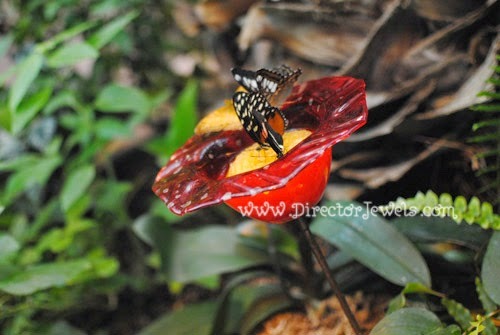 I could have wandered around watching the butterflies all day long! They were so beautiful. The kids enjoyed the butterflies as well. 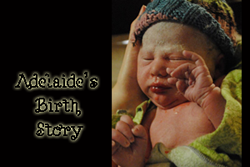 Addie kept shouting "fly! fly!" as they drifted past. We kept them contained for most of our visit, because Lincoln didn't understand what it meant to watch out for butterflies along the path and we didn't want him to run off! I even had the distinct pleasure of holding a butterfly that decided to stop on my hand. It was really, really cool! 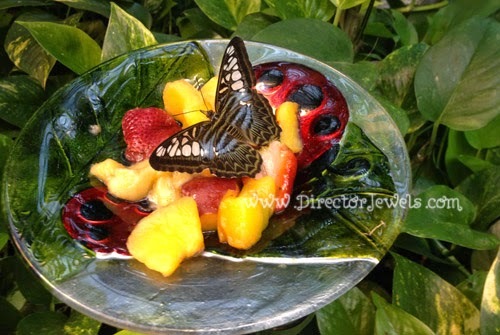 I would love to take the kids back and visit the butterflies again in a few years when we are homeschooling - what a great science field trip this would be! 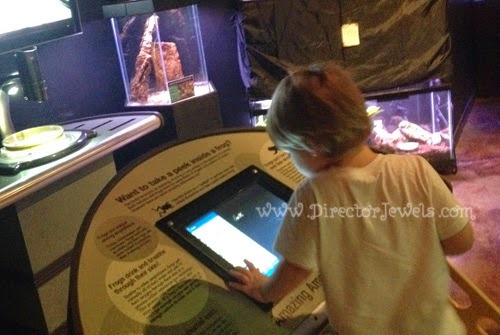 While the butterflies are the main attraction, Lincoln was eager to check out all of the different experiences. He was a big fan of the Living Rainforest Science Center, where he got to interact with some displays and could view a blue-tongued skink, bright-colored poison dart frogs, giant cockroaches, geckos and more. 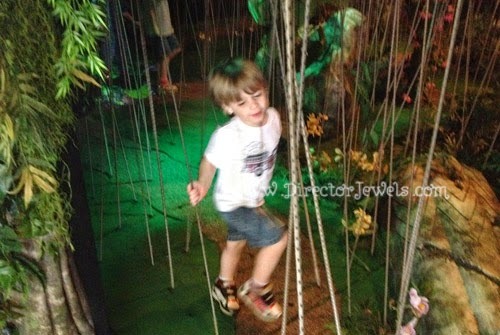 I think the winner for both Lincoln and Addie, however, was the Banyan Tree Bungee Adventure - a small room filled with bungee cord "vines" stretched from floor to ceiling at varying angles. This maze occupied both of them for a very long time, and they wanted to do it over and over again. 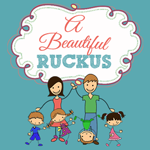 It was a great, safe activity that we could just let them explore on their own. 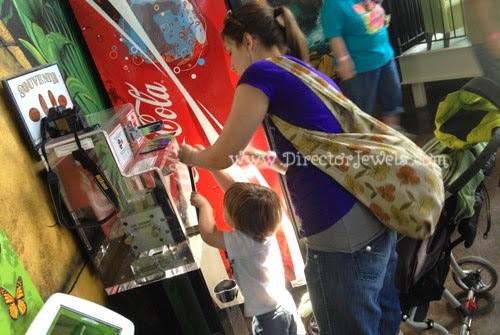 We had such fun at The Butterfly Palace that we even stopped for Lincoln to press his very first souvenir penny. I loved collecting these as a kid, and hope to visit lots of cool places for Lincoln and Addie to build their own collections! 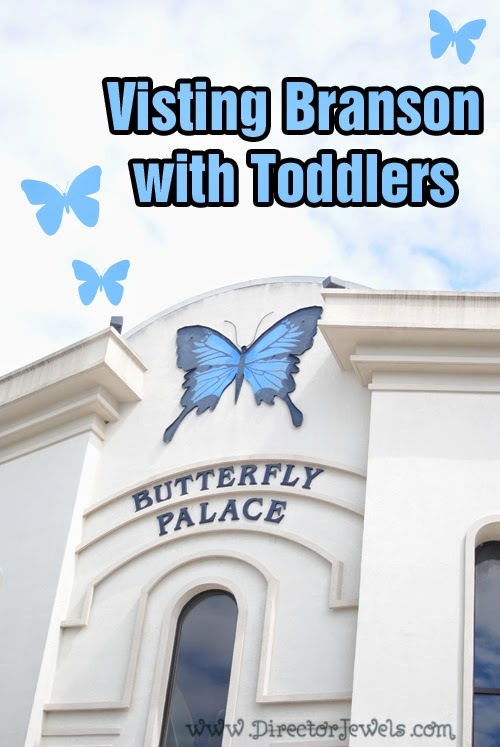 Top 3 Tips for Taking Toddlers to The Butterfly Palace and Rainforest Adventure. 1. Try to Attend a Butterfly Release. 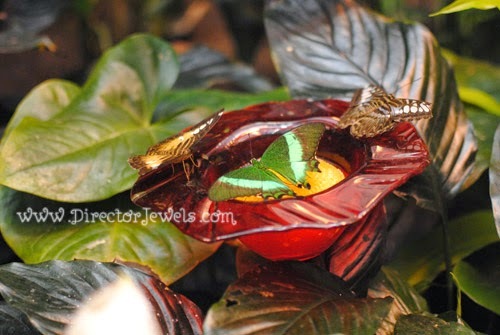 Newly-hatched butterflies are launched into the habitat. There was a launch scheduled the morning of our visit and kids were able to release a butterfly into the air. So cool! You might be able to find out about attending a launch by calling ahead. 2. Check Out the Kid Walkway in the Aviary. 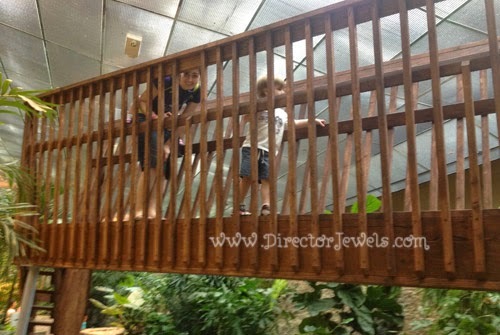 It's designed just for the youngest visitors to take a peek at the butterflies from above! I went up with Lincoln because I was afraid he would either refuse or be too scared to come back down. 3. Skip the Mirror Maze If Your Kids Don't Understand It. We tried the Mirror Maze and utterly failed - ended up leaving again through the entrance. 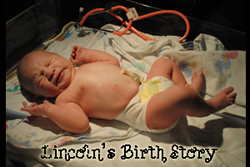 By the time we got out, Lincoln was wailing "we have to get ouuuuut of here!" We'll try it again when he's older. You can find out more and purchase tickets to visit The Butterfly Palace and Rainforest Adventure here - plus make sure you are following on Facebook for all the latest updates!